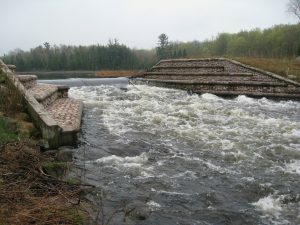 As of the May 19-20 weekend, water levels on the upper Namekagon River are quite high, as seen by these photos taken at the Namekagon Dam. 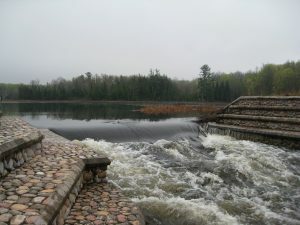 This is due to late snow melt plus recent rains. 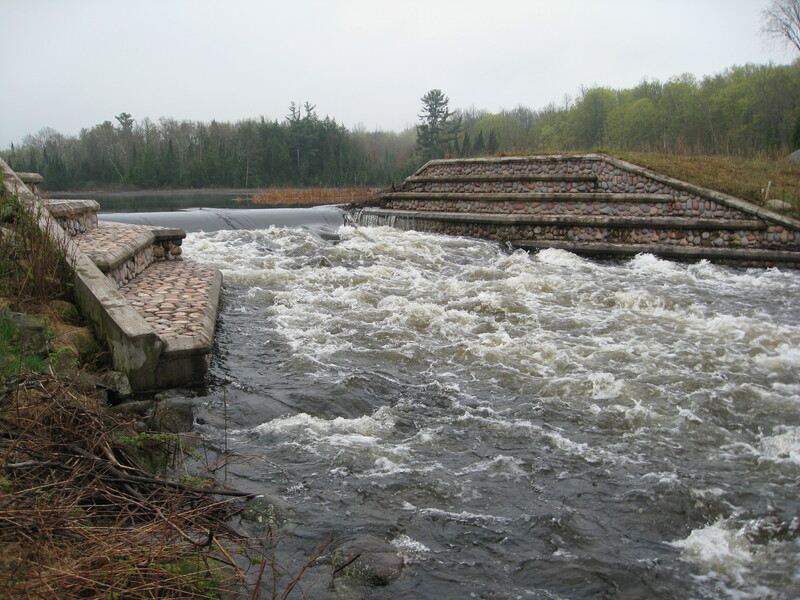 Paddling from the Namekagon Dam down to Cable is quite a ride!